Start with the picture of the cover on the top left! Fold the paper in half, like so. 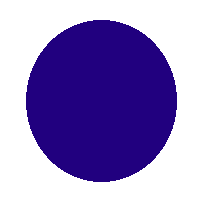 Fold in half along the middle. 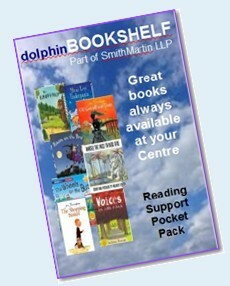 Our dolphinBOOKSHELF Pocket Packs are a quick and easy reference for parents and carers to get advice and support in helping their children read. 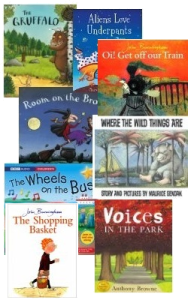 We include advice on reading for children across a range of ages and feature web sites that we think are useful too. 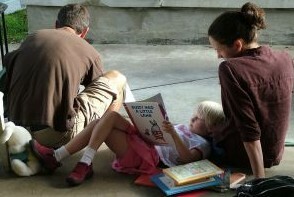 Quick pointers for getting the best from reading with your child are offered, along with helping even very young children develop the readng habit. We can create a version for your Centre too, with session times and featured activities. Just ask us - we are happy to help. 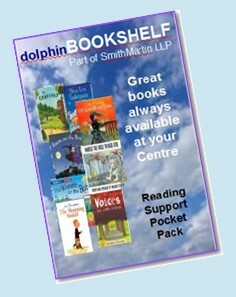 dolphinBOOKSHELF Pocket Packs are updated regularly. Check back on this page to see new contents and to download a new edition. 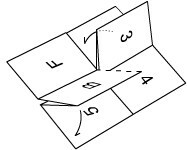 You can print and fold your own copy by using the adjacent instructions. Happy origami from the Dolphin.